Mitra Hospital, the flagship unit of Mitra Group of Concerns, is located in the heart of Udupi, a temple town along the beautiful coastal belt of southern India's Karnataka state. The hospital is situated five kms away from the internationally renowned educational hub of Manipal. 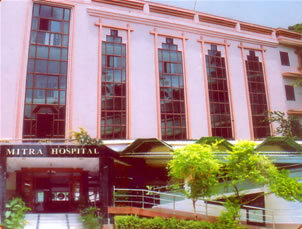 Mitra Hospital was founded by Late Shri N. Gopal Holla in 1987 as a 15-bedded hospital. Since then, Dr Shreedhar Holla N. has been leading the hospital as its Medical Director and it has presently developed into a 200-bedded multi-speciality hospital. The hospital takes pride in announcing that there is a very busy Emergency & Trauma Centre and an ICU with doctors on call all 24 hours. A team of expert physicians is available round the clock for consultation and emergency service. The hospital has been rendering good nursing care through a team of dedicated nurses. The hospital has been imparting internship programme for a large number of doctors after their graduation from various medical colleges. As a special gesture, a subsidised ambulance service, free bed and free drug bank facilities are available at Mitra Hospital for the poor and needy people. The Mitra Charitable Trust has been envisaging a good number of educational and medical institutions to be launched for serving the society and the first step has been the advent of Mitra School of Nursing which was started in 2005.